It’s been ages ago now (and perhaps seems even longer), but this summer I participated in the Summer ’11 edition of Seasons of Lace. It was fun to knit lace along with others, even if I still haven’t finished Rock Island from the KAL. (Soon, I hope!) But that was summer, and this is winter, so I was very surprised a couple weeks ago to receive an e-mail that I had won yarn in the Resurrection Lace Raffle! 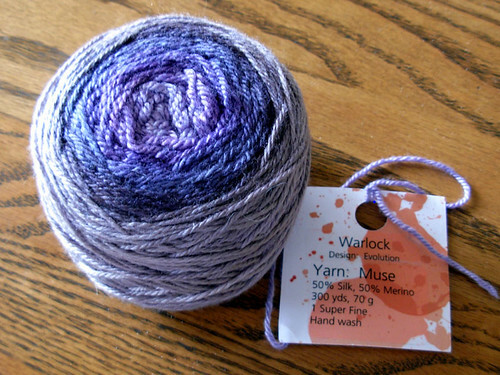 Just before Christmas I received this little beauty, a skein of Twisted Fiber Art yarn, Muse base (wool-silk), Warlock colorway, generously donated by Cathy Cate of Hither and Yarn. is what they look like. 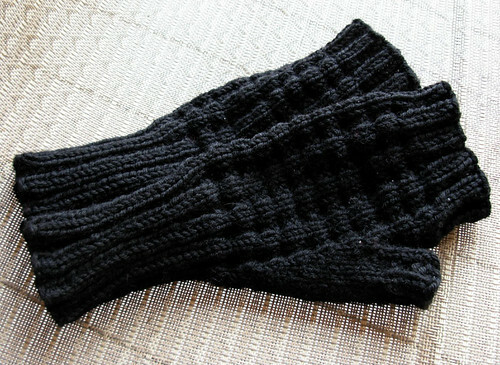 Yes, they are exactly the same as my Dad’s Mitts. I think my brother likes them; I know he’s been wearing them already. So that was a success. 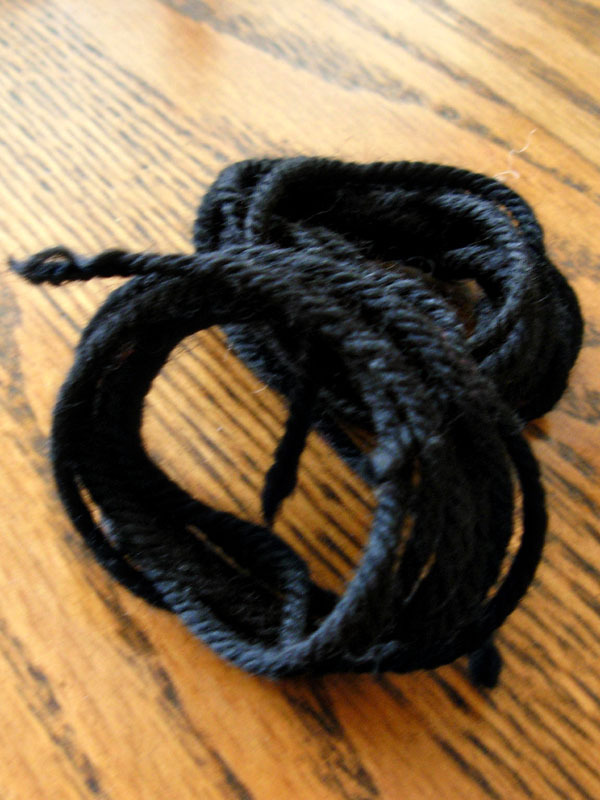 There is one thing I can do–I swear, no more knitting anything in black that requires seaming or weaving in of multiple ends. I mean it this time!